Dont miss this beautiful and light filled classic colonial on a charming red brick road in Highland Square! Exceptional property with many updates. On the first floor you will find a large living room with fireplace that opens to both the spacious dining room as well as a den with built in shelves. Toward the back of the home is a bright and sunny kitchen that leads out to a sun porch and the charming back patio and yard. A half bath finishes off the first floor. Upstairs you will find 4 very nicely sized bedrooms and a large full bathroom, plus a walk up attic, perfect for additional storage. Large basement with very high ceilings lends itself to much potential. Modern neutral paint throughout! Recent updates include roof in 2017, waterproofing and new water line to the street in 2018, updated electric, a rebuilt retaining wall in 2016, and many replacement windows throughout. Home warranty included! This one is a must see, move right in and enjoy! For more information about this property, please contact Kelly Wise at 330-686-1644 or [email protected] You can also text 5537715 to 67299. View 35 photos of this 5 bed, 2+ bath, 2,456 Sq. 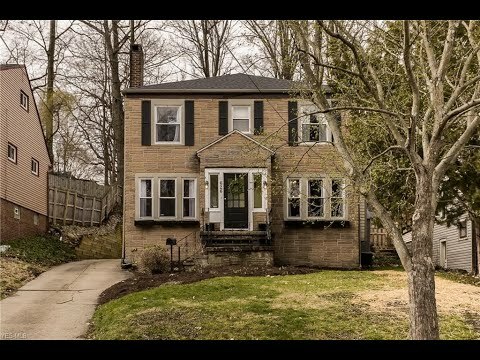 Ft. single family home at 248 Storer Ave, Akron, OH 44302 on sale now for $155,000.